The Executive Committee of UNILAGFEAA inducted the first set of forty (40) Associate Graduate Members of the Association in the Engineering Lecture, Faculty of Engineering, Unilag on September 12 2018. 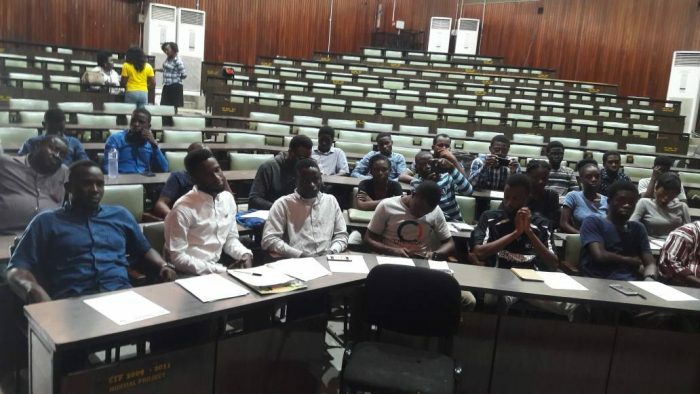 A lecture on “Essentials of good professional development for young Engineers” was also given by Engr Noimot Salako-Oyedele, National Treasurer of the Association. Chairman, Engr Titi Omo-Ettu, told the inductees in a welcome address that The purpose of the induction Ceremony was to formally admit the new members and to familiarise them with the obligations, responsibilities, and benefits of membership of the Association. Dean of Engineering, Professor Funso Falade admonished the new members to take good advantge of the lofty programs of UNILAGFEAA to develop themselves.